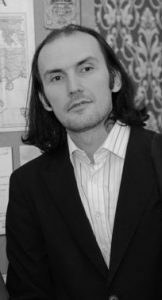 Alexandar Kirkovski was born 1977 in Skopje. He published two books of poetry – Kenelup, 1997 and M, 2002 :: His poetry is represented in two anthologies of young Macedonian poetry. From 1998 – 2000 he was the Coordinator of the literary circle Mugri at the Faculty of Philology Blaze Koneski and editor of 5 almanacs with poetry from the members of the circle. 1999, 2000, 2001 part of the team responsible for the organization and preparation of the Balakan literary event Racinovi sredbi.